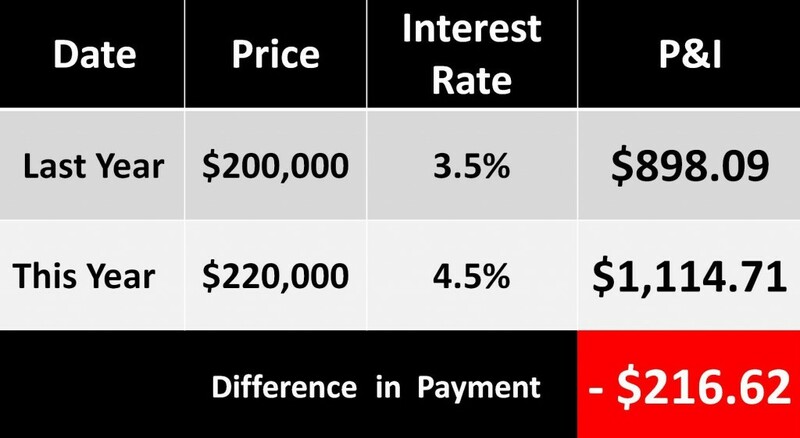 We often talk about the potential cost of waiting to buy a home. Today, I want to look at the actual cost for someone who waited over the last year. A 10% increase in house values was used as prices have gone up by double digits in the country (nationally) on average. Keep in mind real estate is very localized and the 10% increase does not hold true for LI. I looked at approximate mortgage rates last year compared to this year.